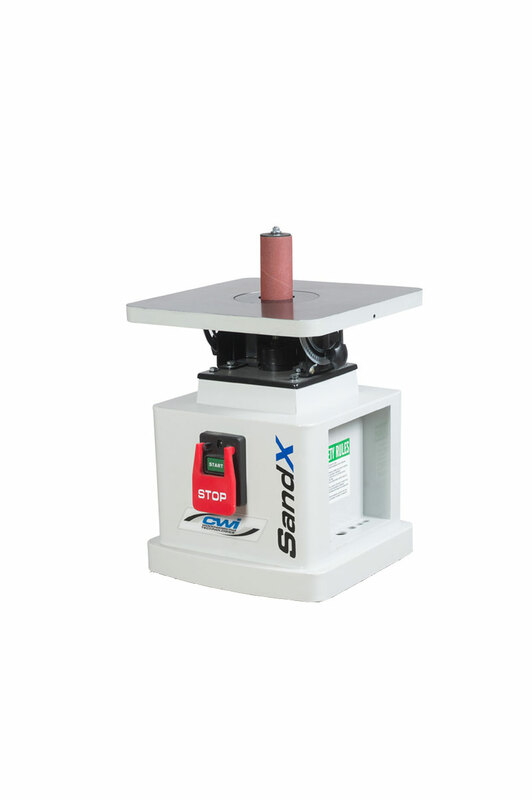 The SandX CWI-S0201 floor model oscillating spindle sander is made for educational and industrial needs. It features a very large 24” x 24” tilting cast iron table and utilizes 10 different sized sanding spindles from ¼” – 4” in diameter. The ¼” is 5” long, the 3/8”, ½” and 5/8” spindles are 6” long with the balance of ¾”, 1”, 1.5”, 2”, 3” and 4” spindles at 9” in length. 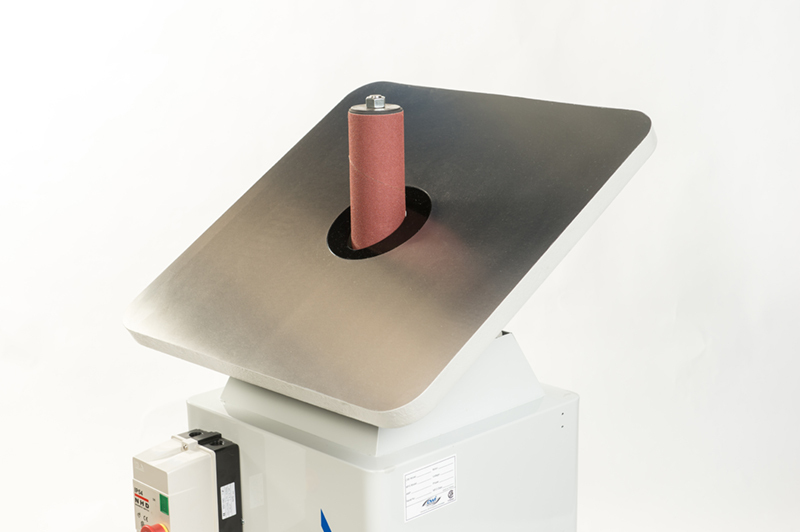 There are three interchangeable table inserts to use depending on size of spindle and the angle of the table which can tilt up to 45 degrees. The CWI-S0201 utilizes a very strong 1 HP 110/1/60 10 amp motor and a magnetic safety switch for overload and under voltage protection. The magnetic switch is a very important upgrade over similar sanders for use in educational or industrial settings. The machine features a heavy duty gearbox for the oscillation running in an oil bath with a see through oil level site gauge. We also use precision bearings in the spindle mechanism to generate excellent smooth performance for many years of heavy use. The frame of the machine is a solid steel welded stand with a storage compartment for extra sanding sleeves and tools as well as storage compartments on each side of the 17.5” x 17.5” base to hold all 10 of the sanding spindles when not in use. 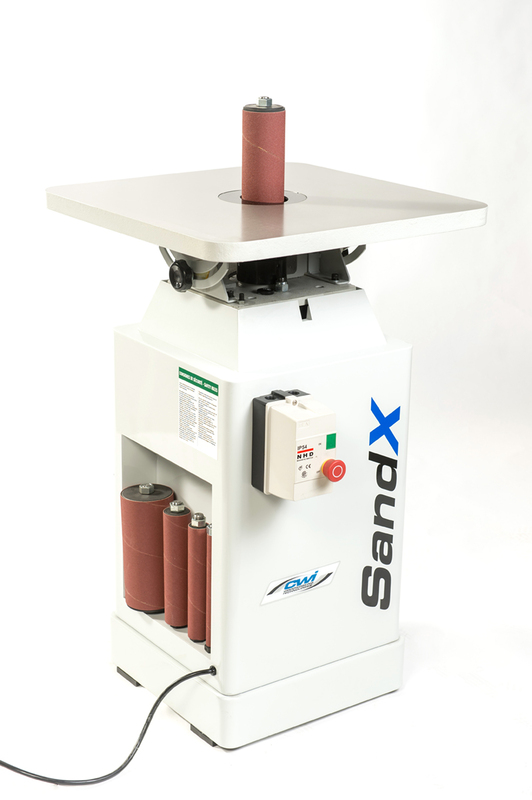 For adequate dust collection the SandX oscillating spindle sander requires 400 CFM utilizing the 4” hose connection port under the table. 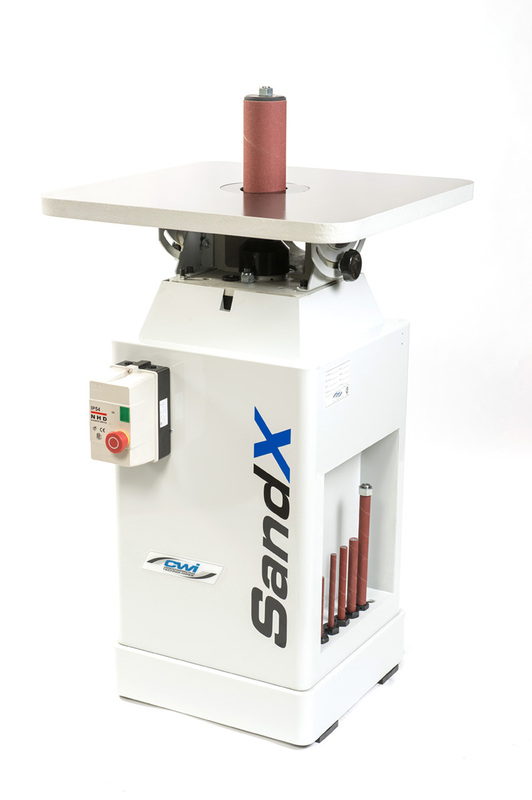 The SandX CWI-S0201 floor model oscillating spindle sander is an excellent all-purpose machine providing features and performance woodworkers and educators will truly appreciate. Browse the product archive. 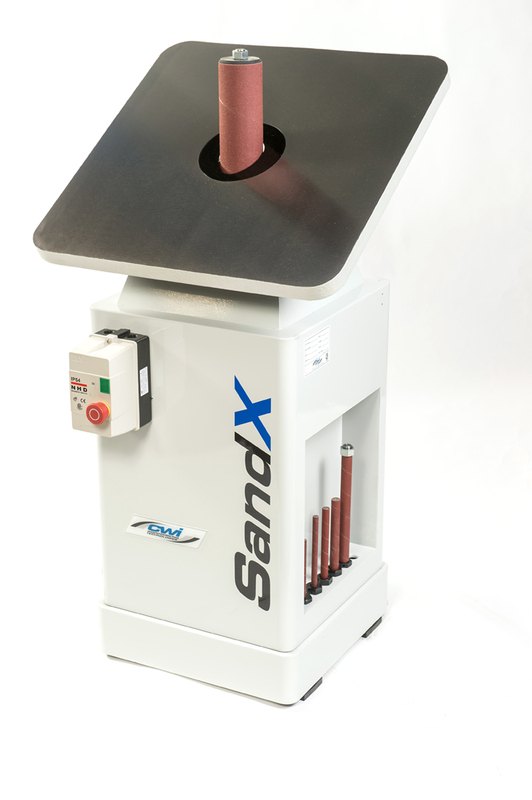 Type: Sanding Equipment. Bookmark the permalink.